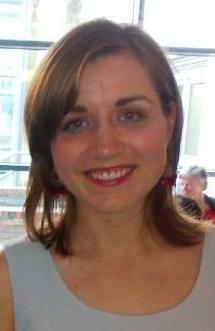 Lorna Roe is the Social Policy Officer (Social Partnership) with Age Action Ireland, the national charity for older people. Age Action work with, and on behalf of, older people endeavouring to make Ireland the best place in the world in which to grow older by protecting vulnerable older people and promoting positive ageing through its services and policy work. Apparently, as the word on the street goes, grey is the new black since our economy hit its first double quarter of negative growth. At least that is the opinion of a number of commentators. A popular, if indeed corrosive theory, has emerged that says older people have remained untouched in this period of ‘downward adjustment’ or indeed are the net gainers among those reliant on state income. This is something Age Action would very much like to challenge. A useful starting point is the position of older people before the recession. The point has frequently been made that older people have not contributed enough to their country in the recession. We find this interesting as previous to 2008, older people were second among age groups most at risk of poverty. In fact the figure in 2007, 16.6% (high by any standard) was a dramatic decrease since the dizzyingly high level of 44% in 2001. Older people were a very vulnerable group before this recession and its’ number of devastating cuts even began. However as social welfare was maintained and wage levels decreased between 2007 and 2008, rate of poverty among older people decreased 5.6%, to a rate of 11% in 2008. However, a point made by the CSO in their analysis of EU SILC 2008 data warrants attention. This is a statistical success: “It should be noted that income levels of this group are typically close to the ‘at risk of poverty’ threshold and therefore their at risk of poverty rate can change significantly due to either movements in the thresholds or their income.” (CSO, 2009) Older people largely live on incomes close to the poverty threshold and as such remain in a situation of financial vulnerability living from one week to the next in this recession. The bold truth is 86% of older people would be at risk of poverty with no state transfers. When transfers are made this rate drops to 11%. State transfers are therefore an exceptionally successful poverty reducing measure. Indeed compared to the EU where on average, social transfers reduce poverty risk by 38%, the Irish reduction of 73% for older people is nothing short of remarkable. However, it underscores the nearly pure reliance of older people on state income. Another fallacy suggests means testing the state pension. The table below shows us compelling reasons to avoid this. If only from a purely administrative point of view, setting up a system for means testing would hardly be worthwhile considering the small numbers it would affect. Only 2% of older people earn in the top income decile before state transfers. The majority (93%) of older people earn income in the bottom half of the income decile scale. Only 32% of older people have an occupational pension and according to findings from the SHARE Ireland data only 13% have a personal retirement savings account. While on the other hand SHARE also found 20% of older people still have a mortgage on their home, 26% owed money and 32% were in a household which had some difficulty in making ends meet. The Irish government views work as the route out of poverty. However, the vast majority of older people are in retirement (92%) and of those who do work, the majority work part time in agriculture and fishing sector. The jobs market offers little scope for older workers and indeed FAS offers no training courses to those that do wish to supplement their income with paid employment. Moving from discussing income to discussing services, Age Action have monitored a number of searing cuts in the last 12 months. Rationing Eye Testing on medical card. This trend of decommodification could not happen at a worse time for older people, many of whom need these services to run and heat their homes and stay in good health. Looking at the table below, based on research using CPI data from the Central Statistics Office, we can see that despite overall CPI decreasing between January 2008 and July 2010, many goods demonstrated remarkable price inelasticity. Price trends of key goods and services January 2008- July 2010. The increases in home heating particularly affect older people who are more likely to live in homes with no central heating that are prone to dampness. This is worrying as older people are more likely to spend greater periods of time in their homes. For the quarter of older people who live lone, typically on lower incomes, this is particularly cumbersome. The increases in health costs, in the context of a third of older people living with a disability and 60% living with a chronic disease is worrying, particularly so for the 54,000 older people currently without a medical card. The associated 33% increase in the cost of health insurance renders this safety net unaffordable for many older people. Finally, despite the free travel card, the cost of travel for many has increased where public transport is unavailable. Overall, Age Action cannot accept that older people have been cushioned from cuts in this recession. Older people were struggling going into this recession and they will struggle coming out of it as a result of cuts in benefits and services. To judge them as beneficiaries would be to add injury to insult. Older people are among very vulnerable groups. It is essential those groups act in solidarity in protecting those who cannot afford to take further cuts in the coming months. Figures on income excluding social transfers from PQ_2409010. Figures from income including social transfers obtained through correspondence with the Central Statistics Office. EU SILC analayis in 2009 found 44% of older people living alone and 33% of older couples were unable to access public transport. Time to vote. Time to end poverty for good.